In this report we present the results of the analysis of approximately 2.7 Mb of genomic information for the American mink (Neovison vison) derived through BAC end sequencing. Our study, which encompasses approximately 1/1000th of the mink genome, suggests that simple sequence repeats (SSRs) are less common in the mink than in the human genome, whereas the average GC content of the mink genome is slightly higher than that of its human counterpart. The 2.7 Mb mink genomic dataset also contained 2,416 repeat elements (retroids and DNA transposons) occupying almost 31% of the sequence space. Among repeat elements, LINEs were over-represented and endogenous viruses (aka LTRs) under-represented in comparison to the human genome. 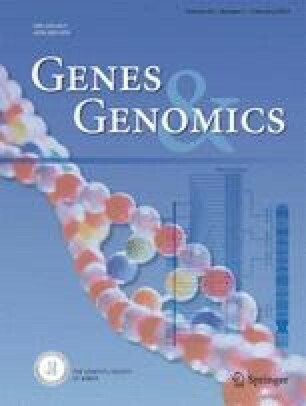 Finally, we present a virtual map of the mink genome constructed with reference to the human and canine genome assemblies using a comparative genomics approach and incorporating over 200 mink BESs with unique hits to the human genome. Supplementary material is available for this article at 10.1007/s13258-011-0160-8 and is accessible for authorized users. Supplementary material, approximately 48.3 KB. Supplementary material, approximately 716 KB. Supplementary material, approximately 27.9 KB. Supplementary material, approximately 372 KB. Fur Commission USA (2007) Press release — November 2007, available at: www.furcommission.com/farming/pelts.htm.